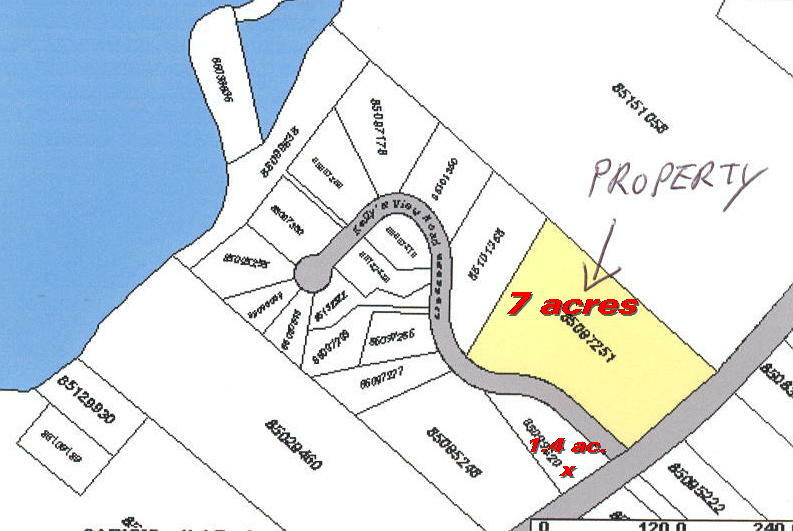 Lot in the Seal Island Estates subdivision (7 acres) with deeded access to a beautiful sand beach on the Great Bras Channel. PRICE REDUCED to $24,500. 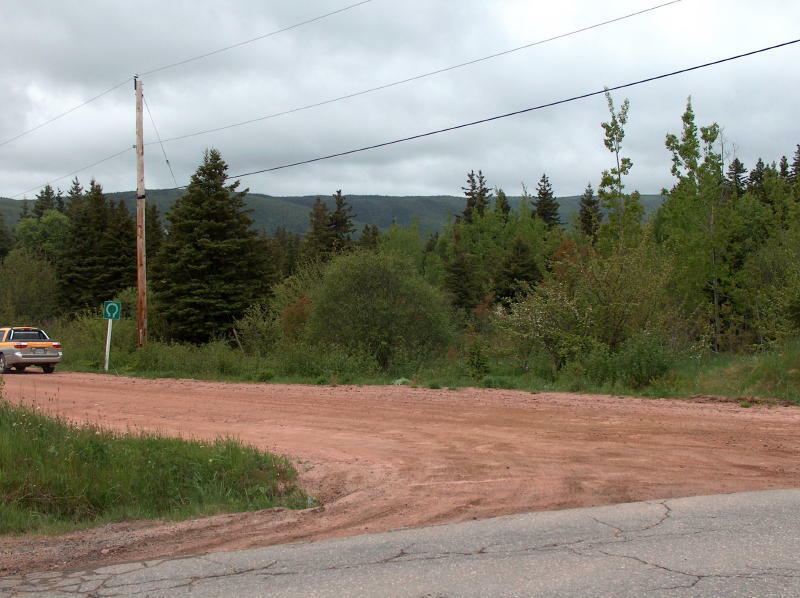 Parcel # 85097251 is located at Kelly's View Road and at the corner of the Ross Ferry / Boularderie Highway. 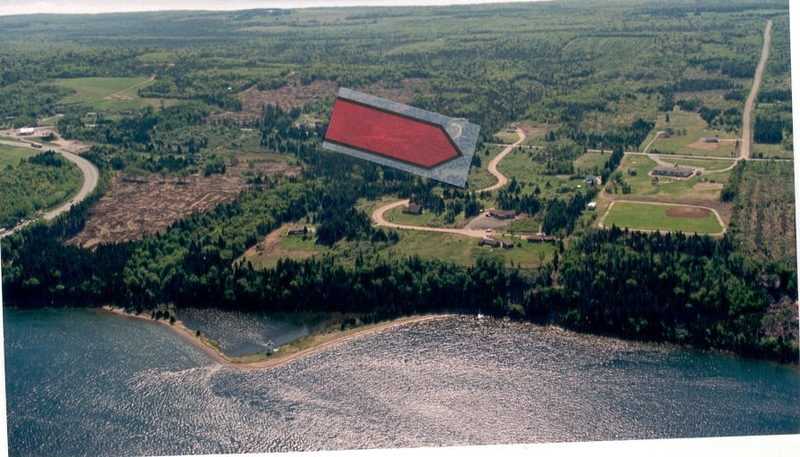 This is the largest parcel in the Seal Island Estate development and was originally proposed to be three lots. 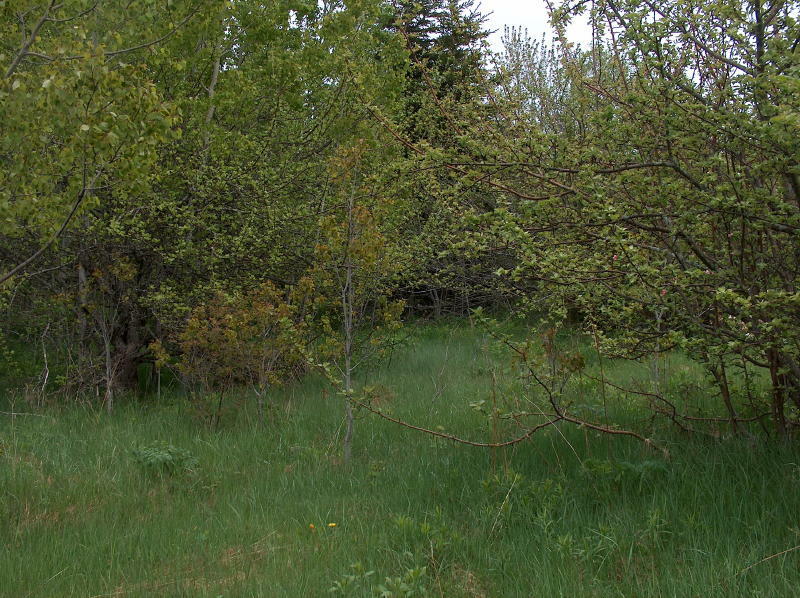 It is now for sale as one property and is 7 acres in size. 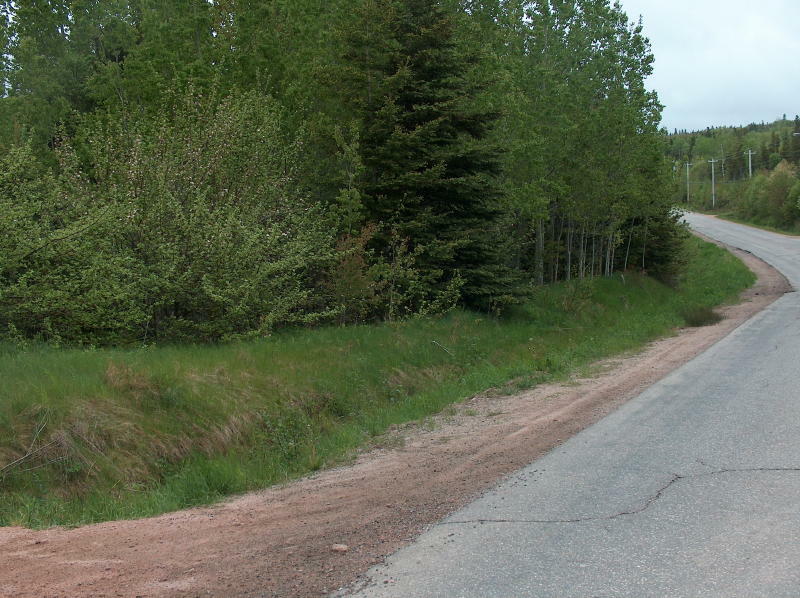 It has 390 feet of frontage on the Ross Ferry / Boularderie Highway and 650 feet on the Kelly's View Road. 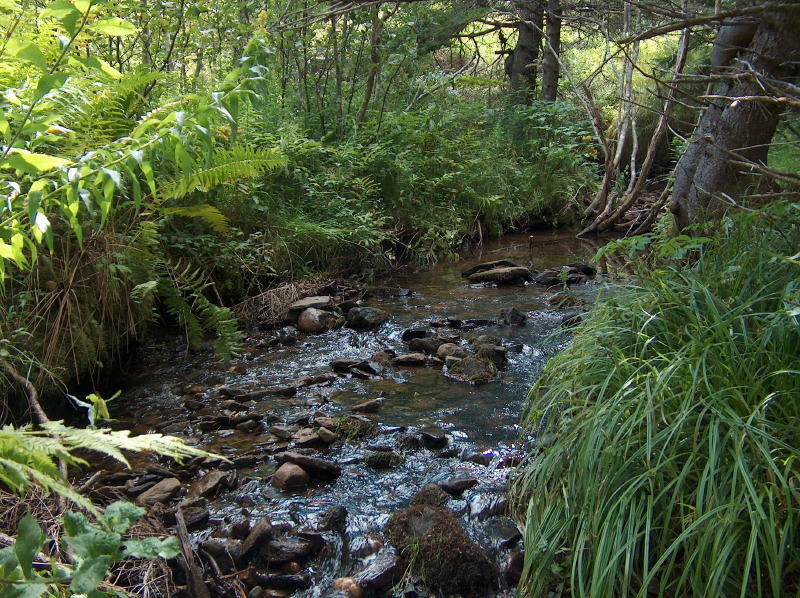 A nice brook winds it's way through the northeastern corner of the property. 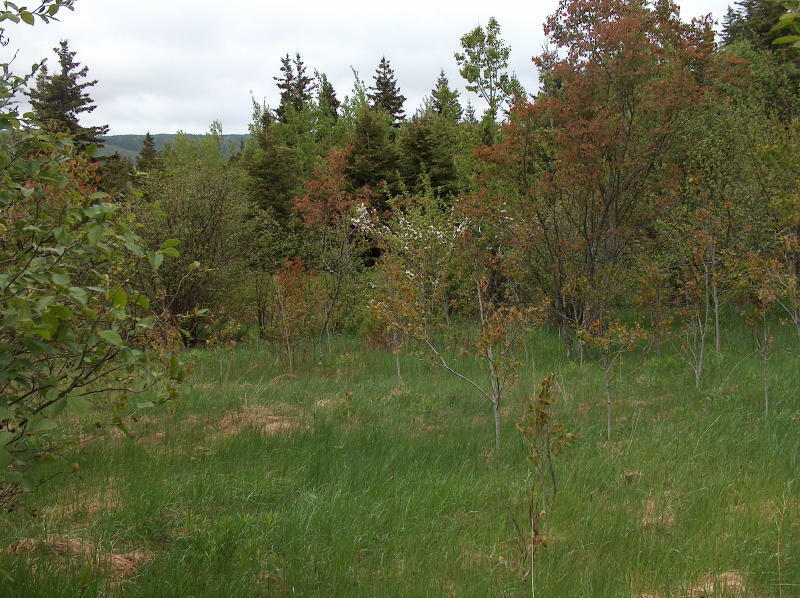 The property is treed with apple trees, spruce and maple. All parcels at Seal Island Estates have access to the Great Bras Channel & a beautiful sandy beach, by way of a common right of way. This sand beach is shown in the header photo on this page and in the additional photos. 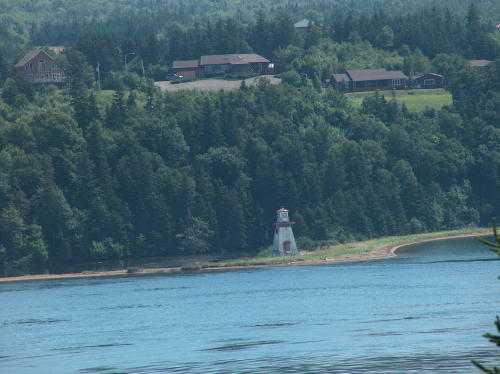 The Great Bras d'Or Channel is the main entrance to the Bras d'Or Lake. A large volume of water moves back and forth in the Channel as the tides refresh the large inland lake. 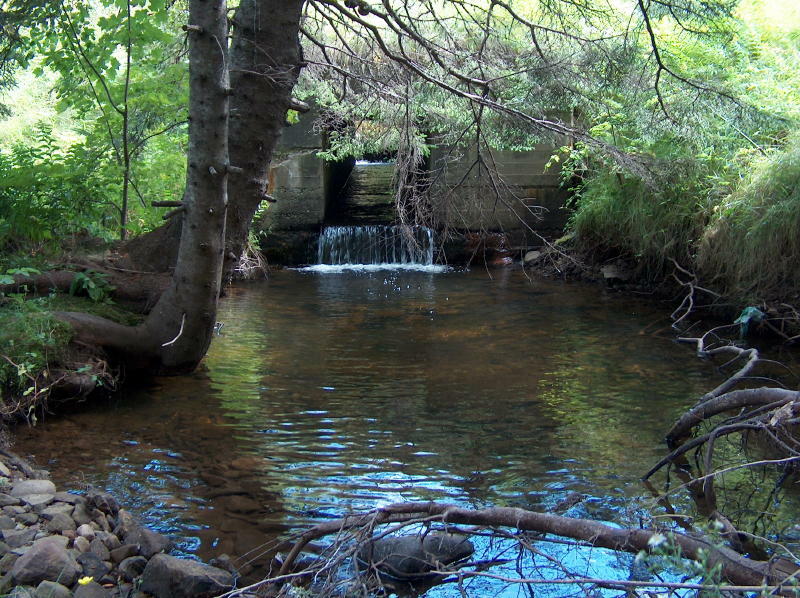 The channel is 1 to 2 km wide and about 30 km from the Atlantic to the Bras d'Or Lake. 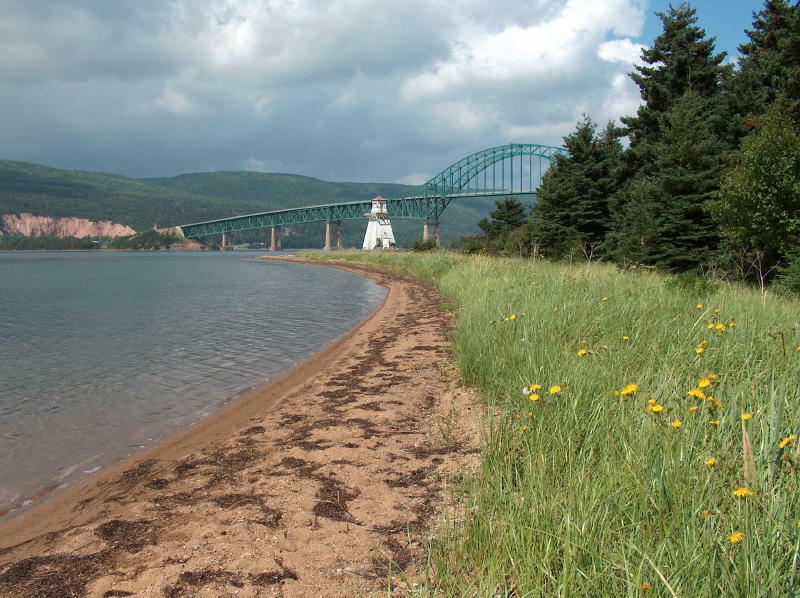 Visitors to Cape Breton consider it one of the great photo locations in eastern Canada with many photographs taken from highway #105 - Kelly's Mountain view and Seal Island bridge. 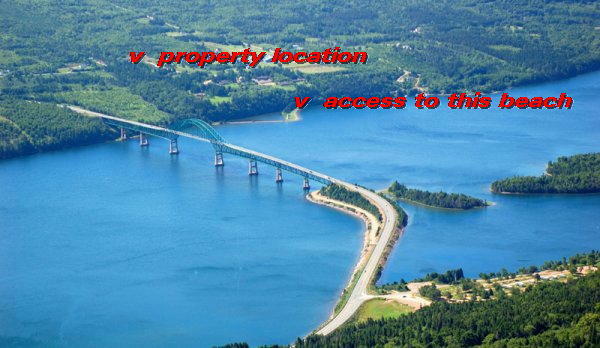 Seal Island Estates is located on Kelly's View Road and within sight of the bridge. Seal Island bridge spans the Great Bras d'or Channel with sufficient height that large gypsum boats are able to access the Bras d'Or Lake. Restrictive covenants in place have contributed to homes and building in this development having a similar appearance and have resulted in a community which has a tasteful and natural look. The highly respected Boularderie School (primary to grade 6) is located just 700 feet from this property making this a safe and convenient location to raise a family. Positioned just off Highway #105 (Trans Canada) and 20 to 40 minutes from North Sydney and Sydney, making for an easy commute to the Sydney area. 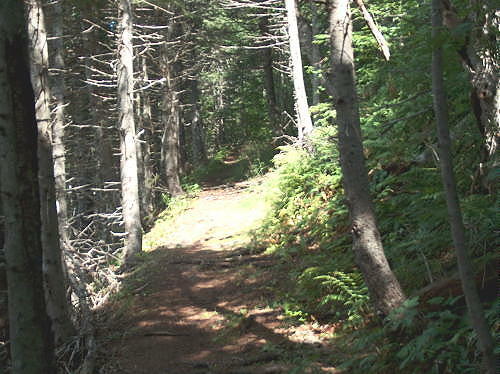 Being located 20 minutes from Baddeck and close to Cape Breton Highlands recreation activities makes for a comfortable lifestyle community.